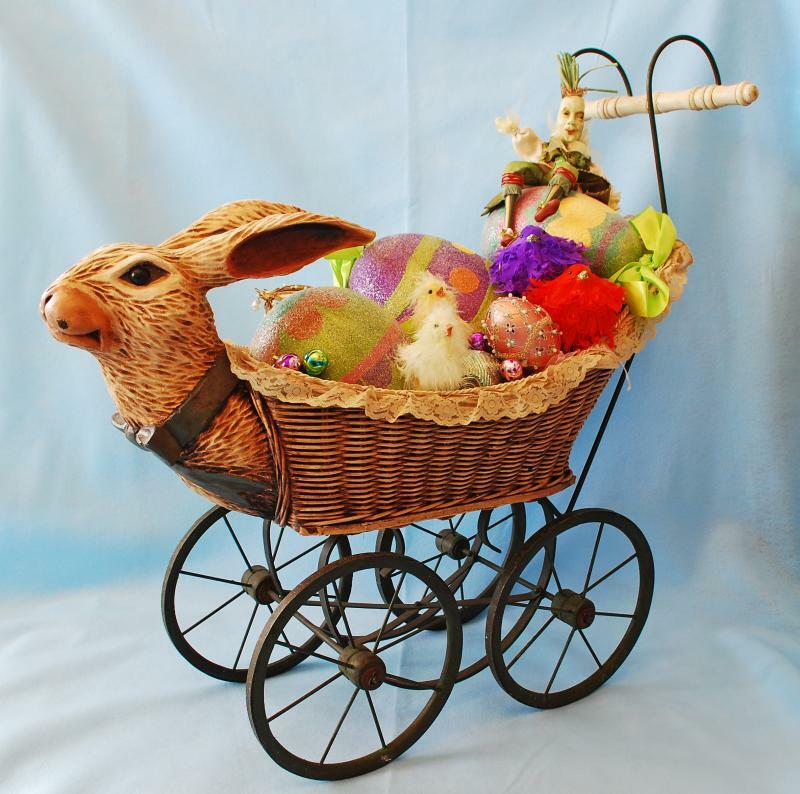 KATHERINE'S COLLECTION EASTER GOODIES - Hippity Hop Eggs, Downe Feather Peeps, Retro Fluffles, Trellis Glass Egg, Tinseled Bullion Egg and Mr. Onionhead Cirque Doll. 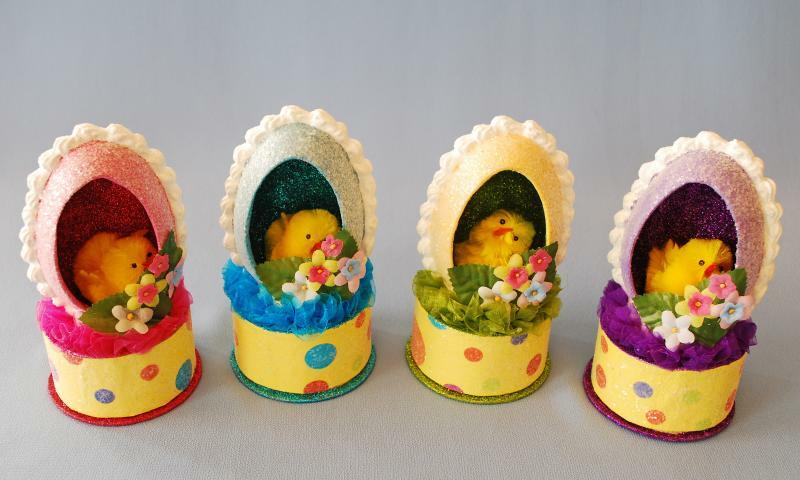 HOPPY EGG MINT BOXES- Katherine's Collection. 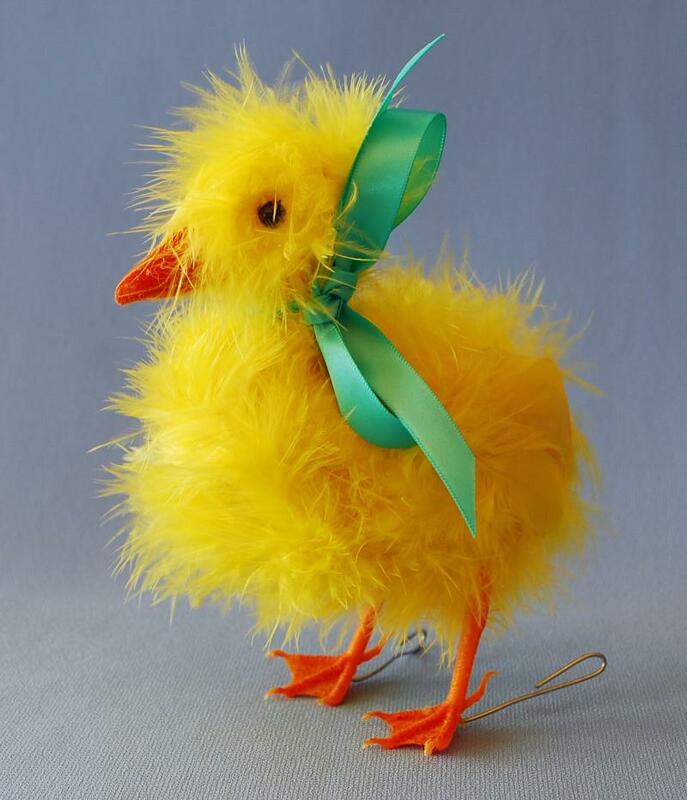 RETRO DOWNE DUCKLING - Katherine's Collection. 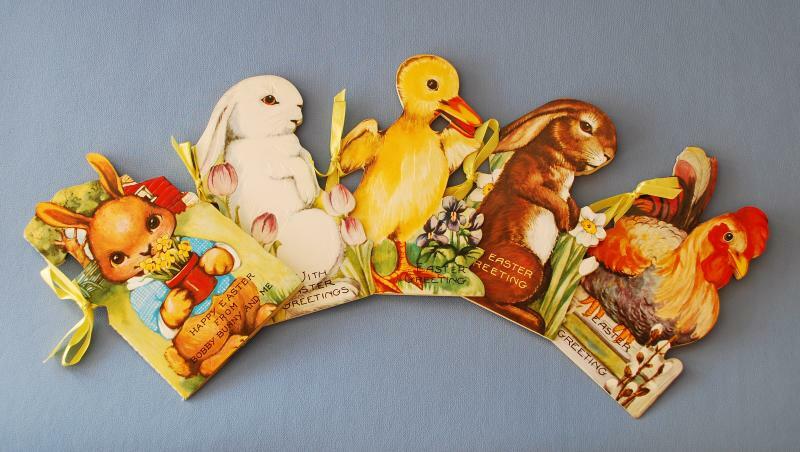 OLD FASHIONED EASTER STORY BOOKS - B. Shackman Company.